We hear time and time again that collecting information from clients is a real challenge for accountants and bookkeepers. Given the amount of information you need to ensure you’re doing your job right, particularly when it comes to period-end accounts, this can have a significant impact on your workflow. In fact, 30% of the accountants we spoke to for our 2017 UK Benchmarking report said they spent the majority of their time chasing clients. With that in mind, we’ve developed a solution right where you live within Xero HQ to ensure that this pain becomes a problem of the past. Ask puts the power in your hands to request and receive the information you need, and manage the entire process more efficiently. Traditionally, information gathering is performed in all kinds of ways – mailing questionnaires, ad hoc emails, phone calls, meetings – and requests for “everything you have” results in the age-old shoe box response. If you do get what you need, that’s a lot of emails, notes and documents to trawl through, and it could be any member of the team doing that. If you don’t get what you need, you may have to re-engineer the entire process, identify what was missed, determine whether it’s important and then attempt to cajole your client into providing it. With Ask, queries are sent directly to your client’s email address from within Xero HQ. Because it’s connected to the single client list, getting started is as easy as creating your query and locating the client record. 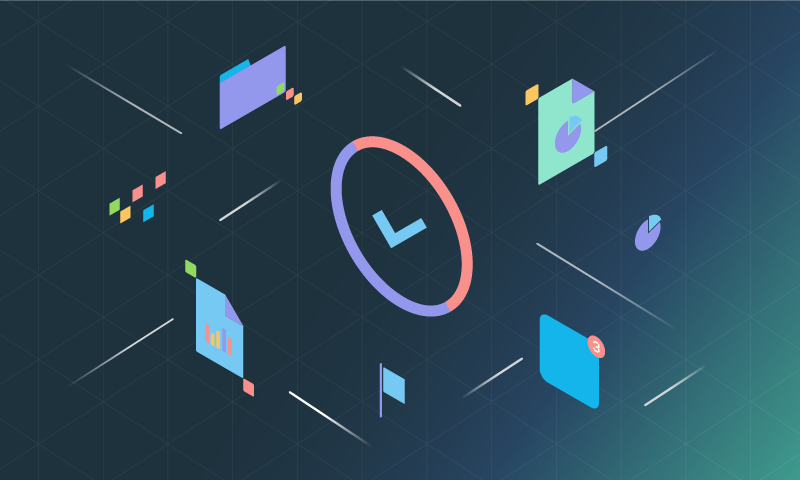 Each query is stored within Xero HQ along with your client responses and any attachments, making multiple records, emails and notes a thing of the past. The experience offers a clean view for your clients as well, making responses a dream. 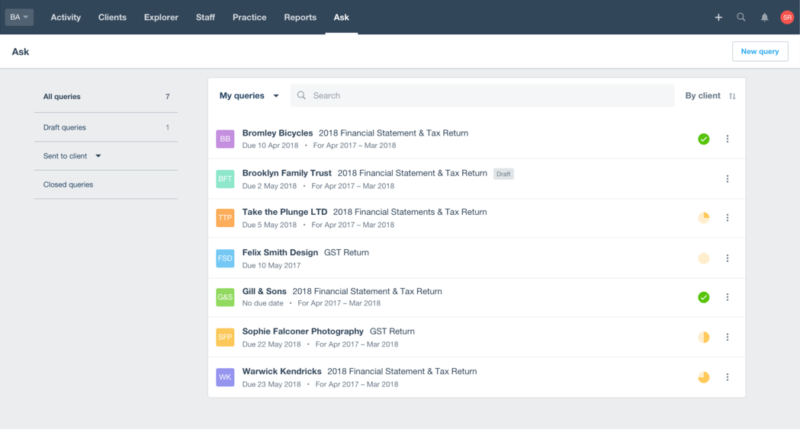 Queries can be sent to clients regardless of whether or not they have a Xero organisation; all they need is a Xero HQ client record in your practice. To respond, your client logs in securely via an email invite. If they already have a login, they can jump straight in. If not, they can set one up straight away with no added complications or requirements for a Xero subscription. No two clients are the same, so Ask makes it simple to compose the questions you need to get the right kind of responses. This flexibility delivers a far superior experience for your clients, who no longer have to deal with lengthy questionnaires which are often of little to no relevance to them. I’m sold, now where is it? Ask will be available to all Xero HQ users from the end of this month. If you’re not using Xero HQ yet, opt in now because the platform will soon become your default experience. We’re growing Ask fast and expect to be adding even more functionality. As always, this will be largely based on feedback from our users, so please let us know what you think. for more updates throughout Xerocon London. The post Introducing Ask in Xero HQ appeared first on Xero Blog.